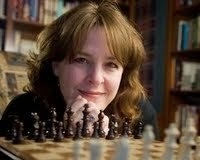 Today I welcome Tracy Groot, author of the Civil War novel The Sentinels of Andersonville. Sentinels delves into the story of the infamous prison from both sides, depicting the physical horrors of the stockade and the mental torment of Confederate soldiers and civilians who refuse to ignore the situation. Chapman: I sometimes thought I was reading a novel from the period. What did you do to replicate the language and slang of the 1860s? Groot: First, I read books that were from the period and about the period. From the period: the Civil War stories by Ambrose Bierce, Miss Ravenel's Conversion from Secession to Loyalty, by John W. DeForest, many prisoner accounts of Andersonville, in which I found a lot of wonderful colloquialisms. 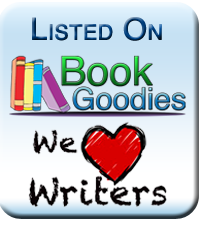 About the period: Gone with the Wind, True Grit, several Louis L'Amour books which offer period-speak, The Killer Angels, etc. Second, I watched good period movies and documentaries, took a lot of notes, and listened to the way the actors spoke: Glory, Gettysburg, True Grit, Andersonville, The Andersonville Trial, Gone with the Wind, some Louis L'Amour movies, some period western films, Ken Burns' Civil War series, Andersonville documentaries, etc. When you immerse yourself in the period through books and visuals, you can pick up dialect and cadence, and develop a feel of your own for the language. It's important to give yourself a lot of material to work with until it becomes sort of an e pluribus unum thing--out of many styles and forms, one style and form that becomes your own, and yet is recognizable as period. What was the hardest place you had to take a character in Sentinels? My first reaction would be that it was hard to take Violet to the prison and decimate her innocence; but the truth is, it was harder to take Dance to the place inside himself where he finally knew his mind, knew what he had to do, knew what it would cost him. Did you come across any studies comparing the apathy of Americus citizens with the apathy of German citizens living near concentration camps during WWII? No, but I noticed those similarities too, especially when watching one of the final episodes of HBO's Band of Brothers, when the soldiers find the concentration camp. The soldiers knew that the citizens knew of it. How could they not? Andersonville Prison, and a few other Civil War prisons, have been called America's concentration camps. It is easy to see the Union prisoners as victims, but your work suggests that some of the guards were victims in their own way, forced to take part in a massive cruelty. Did you intend from the beginning to write the story from that perspective? No, I didn't. At first, I wondered more about the citizens of Americus. But as research progressed, and as my story began to develop, I increasingly put myself up in the guard platforms, watching the prisoners. One of the most poignant (and disputed) facts I learned about Andersonville was the hanging of two guards in June of 1864. (One report says one was hanged, one says two. They were found guilty of conspiring with prisoners for a prison break. Whether they did it from mercy or from greed is unknown--guards were often bribed.) I know that things happen to the human psyche when decent people are forced to participate or watch horrible things. Rationalization, denial--all sorts of coping mechanisms come into play. I developed a deep empathy for the guards. I wish I had come across material from their perspective, post Andersonville, and while I'm sure it exists, I didn't find any. A character from Sentinels makes a direct reference to Dicken's A Tale of Two Cities. There are other similarities in the plots. Did that novel inform your writing of Sentinels. Funny you should say. :) A Tale of Two Cities is probably my favorite novel. It's in the top 2. I'm not surprised some nuance or two made it into the book, given similar themes of revolution and hard choices, but you're the first to point it out to me. It wasn't intentional, but now that you mention it, not surprising. Any more Civil War novels in your future? Tracy Groot is the critically acclaimed and Christy Award–winning author of several works of historical fiction. Her books have received starred Booklist and Publishers Weekly reviews and have been called "beautifully written" and "page-turning" by Publishers Weekly, and "gripping" with "exquisitely drawn" characters by Library Journal. Tracy and her husband have three sons and together own a coffee shop in Holland, Michigan. 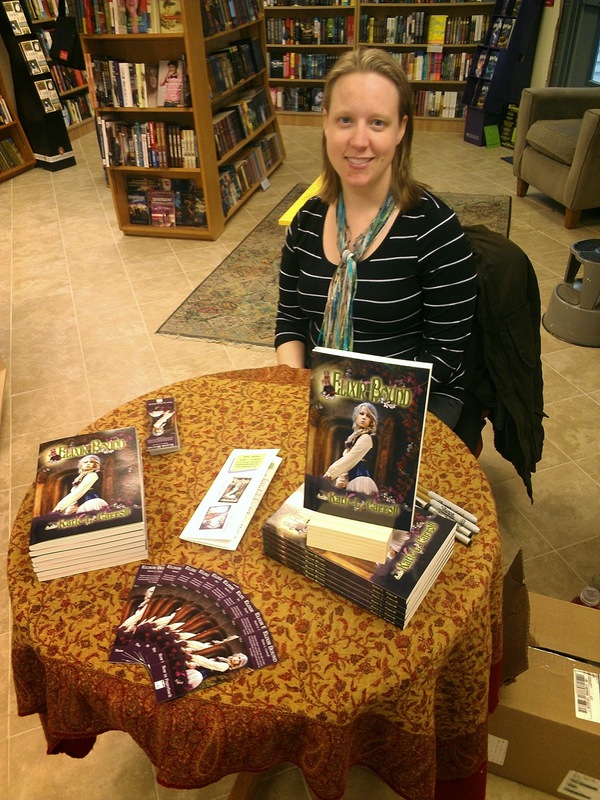 To learn more about Tracy Groot and her work, check out her Goodreads page. Today's post is doing double duty. 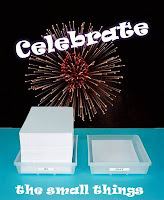 First, it's Friday and time to Celebrate The Small Things (or big things) that happened this week. I don't think writers say it enough, but I'm thankful for readers. Without them, we're just scribbling in the dark to further our own insanity. And readers that leave reviews are greatly treasured, even the ones who leave not-so-good reviews because without those kind, no one would believe the good ones. So, thank you readers. I wish there were more of you. And now for part deux: Follow Fest 2014. 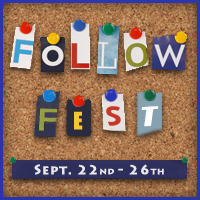 Today is the last day of Follow Fest, a platform-building hop hosted by Melissa Maygrove. I didn't find out about it until today when I read Alex J. Cavanaugh's post from Wednesday. Yes, I should visit in a more timely fashion. What genres do you write? Fantasy, Horror, and Historical. Sometimes all at once. 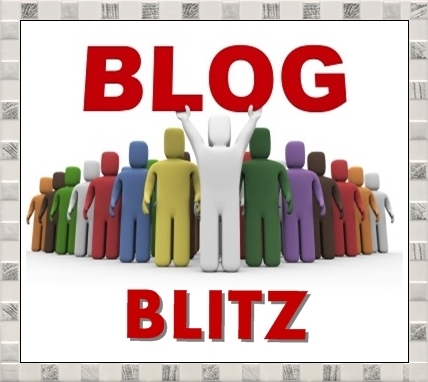 Are you published? Yes, some short stories and novellas. The more I write the longer my stories become, so I'm sure I'll eventually write novels. Click on the publications tab to see a full list but here are my latest ones. "In the Kappa's Garden" in Spaceports & Spidersilk (July 2014). "Blood and Beauty" in Songs of the Satyrs from Angelic Knight Press (April 2014). Last Request: A Victorian Gothic (March 2014). "Good King David" in King David and the Spiders from Mars from Dybbuk Press (March 2014). Do you do anything in addition to writing? Thinking about offering to format books for epub and Kindle. Tell us a little about yourself. I craft software by day. I like cats. I have way too many books, which is why I love ebooks (no storage problem). I have degrees in history and software engineering. I drink hot chocolate (the real stuff made with milk) with the same fervor that some people crave coffee. I love classic ghost stories in the M. R. James tradition. What are you reading right now? Crispin: The Cross of Lead and various books about writing and daily life centuries ago. Which authors influenced you the most? Kafka, Poe, C.S. Lewis, John Gardner, the list goes on and on and I continue to discover writers that I want to influence me. Where can people connect with you? Twitter, Goodreads, Google+, and Facebook. What comes to mind when you hear the word harrowing? Unless you're involved in farming, you likely think of a harrowing experience, something distressing, painful, or terrifying. If you're a farmer, images of dragging a harrow over a field probably come to mind. A harrow is a farm implement for breaking up clods and smoothing the surface of a field. It looks like several rows of large rakes welded together. The sight of an approaching harrow might inspire fear in a weed or field mouse, but it's hardly the source of terror for people. The farm implement harrow comes from the thirteenth-century Middle English word harwe / haru, which derives from Old English *hearwa, which is akin to Old Norse herfi / harfr, meaning harrow, and the Dutch word hark, meaning rake. Some suggest it might be connected to the Old English word for harvest hærfest, although a harrow isn't used for harvesting. So how did we get from farm implement to distressing pain? I could not find a definitive answer. Around 1000, Aelfric, Abbot of Eynsham, used the word harrowing in his homilies when discussing the descent of Christ into Hell to free the righteous during the days between his crucifixion and resurrection. 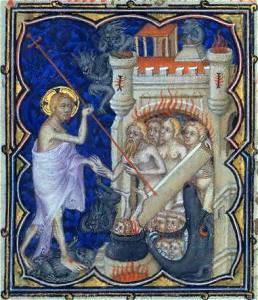 Aelfric termed it the "Harrowing of Hell." William the Conqueror's campaign to lay waste to the northern shires in 1069-70 to prevent future revolts was known as the Harrying or Harrowing of the North. William's soldiers destroyed crops and property as well as slaughtering residents. It was certainly a harrowing experience for the citizens of northern England. Sometime during the tenth and eleventh centuries, the verb harrow, which can mean to drag a harrow over a field, acquired a meaning similar to the verb harry. Harry means to make war, ravage, or plunder. According to the Anglo-Saxon Chronicle, the Vikings harried England. Harry derives from the Old English word hergian, which comes from the Proto-Germanic *harjon. There are cognates in Old Frisian urheria, Old Norse herja, Old High German herion, and German verheeren, all meaning to plunder or destroy. The meaning of harry has weakened since Anglo-Saxon times. In the fifteenth century it came to mean goading or worrying someone. And here's a bit of movie trivia to lighten the harrowing mood. Harrow on the Hill, an affluent area of north west London, is home to Harrow School, commonly known as Harrow, one of four all-boy boarding schools in Britain. Among its distinguished alumni are actors Benedict Cumberbatch of Sherlock fame and Cary Elwes, who portrayed Westley in The Princess Bride. My wife's medical tests came back negative. A shout for joy and a big sigh of relief. Now we can get back to normal life. In writing news, I finally heard back from the publisher to whom I submitted a rewrite of a thriller novella. They're accepting it. Jumping for joy! WooHoo! I had been waiting so long, I was about ready to give up. I'll soon be knee deep into editing. My narrator for Last Request sent in the first fifteen minutes a few weeks early. I'm very pleased with the audio. She's nailed how I hoped the protagonist would sound. Titania and Bottom (c. 1790) by Henry Fuseli (1741–1825). It behooves you to brush your teeth before going to bed. It behooves the jury to listen to the testimony of witnesses. Accuracy is a quality that behooves in accountants. He took the food for his own behoof. As a challenge, try working behoof into everyday conversation. It behooves us all to improve everyone's vocabulary. Behoove derives from Middle English behoven, which comes from Old English behōfian, meaning to have need of or have use for. As in modern English, it was the verbal form of the noun behoof. Behoof derives from Middle English behove, which comes from Old English bihoflic, meaning useful. The existance of bihoflic suggests there was a word *bihof, meaning advantage or utility, deriving from Proto-Germanic *bi-hof, meaning a requirement or obligation. Cognates exist in various Germanic languages such as Old Frisian bihof, Dutch behoef, and Middle High German bihuof, all of which mean an advantage, benefit, or useful thing. Are you wondering about the relationship of behoof and behoove to hoof, as in a horse's hooves? Hoof derives from Old English hof, meaning hoof, which comes from the Proto-Germanic *hofaz. It appears the words have always had a similar sound and spelling but no common origin. However, it does behoove a rider to clean a horse's hooves. Stuart West, who gave us the Tex series and that pleasant street in Neighborhood Watch, is back with another terrifying, twisty rope of words: Godland. An embittered farmer. A New York corporate raider. Two teenage high school girls. A failed small business owner. Past and present collide, secrets are revealed. These disparate people gather at a desolate Kansas farm for a hellish night not everyone will survive. Godland is a dark psychological suspense horror thriller. A Midwestern nightmare. Farm noir. I admit, I enjoyed the plot. There was one section I didn’t think much of. Not because it wasn’t well written, because it was. The topic was a little much for my sympathetic, compassionate heart. I had to stop reading, concerned I wouldn’t sleep. Get ready for a hair-raising, leave-the-lights-on read! This is suspenseful horror ala Hitchcock style. 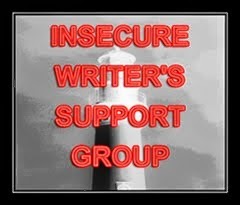 To learn more about Mr. West's twisted mind or to read more of his books, check out his blog or visit his Amazon author page. Elixir Bound is a quest fantasy but not your standard sword and sorcery adventure. Many quests lead to a prize or freedom. The best lead to self-discovery and a new sense of responsibility, maturity, and wisdom. Elixir Bound falls squarely in the latter category. I particularly enjoyed the protagonist, Katora. She's stubborn, determined, brave, and plucky; completely aggravating and likable at the same time. Ebook on sale for $.99 until September 27. Buy it on Amazon or from the MuseItUp bookstore. Signed paperback giveaway on Goodreads until September 28. Enter the giveaway here. A mixed bag this week but a strong showing on a couple days, especially Saturday, when I churned out 650 words. Friday was a zero, but we had a lot of peaches that had to be pealed before they rotted beyond eating. Peaches have a way of all going ripe at once despite our efforts to pick them at various stages of ripeness. (The resulting peach crisp tasted very good.) I need to do better about setting up a consistent time to write, preferably early morning. See you next time. How was your week? The big news is that I've contracted with voice actor Caprisha Page to produce an audio version of Last Request. We're planning a release later this fall. What better time to listen to a tale of a crypt and a beheading? I was surprised how quickly I found a narrator. I had expected to wait around for weeks then go out begging. Instead, I had an audition within twenty-four hours. Has anyone else done an audiobook? Received a great review for Last Request this week on Amazon. Those positive reviews from people you don't know are always gratifying. 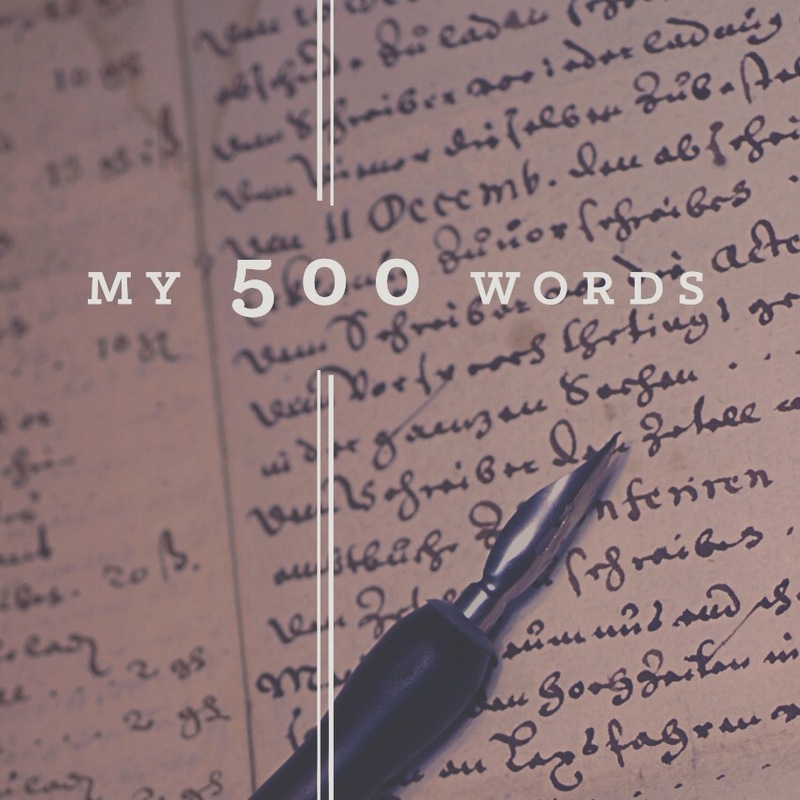 I'm approaching the end of my second week of the My 500 Words Challenge. I've slipped a few days but I'm generally keeping up the pace. Could do better. At least it's driving me to finish rewriting a fae tale that I hope to publish this fall. Anglo-Saxon churl plowing a field, 9th century. Some words lose their respectability over time, declining from a non-pejorative designation to the level of insult. Churl, and its adjective churlish, is just such a case. In Anglo-Saxon times, a churl was a man. It soon took on a more precise definition, meaning a freeman of the lowest rank, a non-servile peasant. Rank played an important role in Anglo-Saxon society. The wergild (the price paid to the relatives of a murder victim) was fixed according to rank. For a thegn—an aristocratic retainer of a nobleman—the wergild was six times higher than that of a churl. Knowing the rank of the person you were skewering with a spear was important. Over time, the meaning had less to do with a precise rank in society and meant simply a common or country person of low birth, the opposite of nobility and royalty. Sometime during the 1300s and 1400s, the word assumed a negative connotation as rude manners was added to low birth. By the late 1500s, the word farmer replaced churl and husbandman as the term to denote someone who works the land. Churl was clearly on a downward slide. It hit bottom by the nineteenth century when the pejorative meaning—a rude, ill-bred, lout—that we're familiar with today became common. Churl comes from the Old English ceorl, which derives from the Proto-Germanic *kerlaz and *karlaz. It has cognates in various Germanic languages including Old Frisian zerl, Dutch kerel, German kerl, and Old Norse karl. The Old English version of churlish is cierlisc. And here's a bit of music trivia. A rock band based in Toronto during the late 1960s called themselves The Churls. They released two albums in 1969: The Churls and Send Me No Flowers. Neither album proved very successful. The band appears to be making a reference to the word's original meaning. Notice the medieval style costumes on the album cover. Did they dress as Anglo-Saxon churls for concerts? I'm not feeling so much insecure this month as terrified. Public speaking scares me, and that's exactly what I'm signed up to do in less than two weeks! Aaaiiieee! I agreed to lead a fiction writing workshop at a writing conference. Fortunately they're not paying me. I wouldn't be able to handle the stress otherwise. I alternate between paralysis and frantic planning, between this is a great opportunity to what was I thinking. My nightmare is that I'll be done talking in five minutes, that no one will ask any questions, and I'll stare out across a sea of bored faces with nothing to say while the clock ticks backwards. I think that's the worst case scenario. Well, if you don't hear from me next month, you'll know the conference was a disaster and I've decided to become a recluse. How about you? Have you ever been on the lonely side of the podium at a conference?